this is cut back on leverage, and raise minimum deposit. more “Nanny State” stuff, but Euro style !! This year is turning out to be a very difficult one for brokers. My workaround for now is to have several high leverage, small, crypto currency denominated accounts with funds in reserve to compensate for any drawdown. That and being prepared to move quickly. Code strategies in R, Python, MQL4, and MQL5. Is there any way we could petition for better legislation? I would be willing to take a training class and get certified in order to trade. Reading Hyperscalper’s posted article, ‘they’ claim to be worried about people squandering all their money. If I can get certified to carry a handgun, why can I not get certified to handle my own money as I choose? If I can get certified to carry a handgun, why can I not get certified to handle my own money as I choose? to provide the service, and I’m talking about legal drugs of course ! Thanks for the reply. I remember reading about this when the news broke a while back. It is my newbie opinion that some unregulated brokers that are currently servicing US traders, will continue to look for ways to circumvent compliance by flying under the radar and/or setting up shop outside of the jurisdictional reach of the CFTC and other groups. It is my understanding that not all countries have the necessary reciprocity agreements with the US that allow for such groups to bully brokers into compliance. By allowing for deposits and withdraws of cryptocurrency, it will be even more difficult for these regulating groups to enforce their idiotic policies. I would be surprised to see such unregulated brokers trying to push out small traders, especially as more of them pop up. client requests like that results in losing clients. Just noticed that Paypal was an option for withdrawing funds from Finpro. Anybody use this? I’m wanting to employ the lowest fee withdrawal method obviously. I originally funded my account with a wire transfer. Here’s a link to Finpro’s withdrawal options. It states all transfers are “free of cost”. They can’t be talking about withdrawals can they? They may not charge a fee, but you may incur a fee on the receiving side, depending on how/where you transferred. As you say, the issue and outcome in the above case is not looking too positive. However I have quite a lot of experience with that, and not only in forex. I must say after all, it is a very fair method and it is used in many industries and in forex by very many brokers. At this point I even take it as something positive and if a broker has this policy it means to me they did their diligence on their side (even if we can look at it from the other side as unflexible policy). If a broker does not have that kind of withdrawal policy I wonder how legal they do their business. You deposit $1000 via Skrill and go up to $5000 and want to make a withdrawal for the whole amount. The usual broker policy is to withdraw $1000 to Skrill and withdraw the $4000 as you wish (Skrill or anything else. You deposit $1000 and you lose it. You deposit $1000 again and lose it again. You deposit $1000 again and go up to $5000 and you want to take it all out. This is a bit more complicated way with some difference at the different brokers but the likelyhood is that you have to first withdraw $3000 to Skrill and with the $2000 rest you do what you want. So why do brokers do this? Do they want to be unflexible to clients? Are they so stupid that they do not realize this policy is not flexible? Of course it is not the case and brokers have strict anti laundering policies to follow. If they do not follow the above mentioned examples then maffia people can deposit big money to a forex account, from anywhere in the world and then pay it right away out with another method in another country and tax it is hard earned money on trading. This is prohibited. Therefore brokers expect you to withdraw your deposit to the same account, with the same method and in the same country where you originally deposited and with your winnings you do whatever you want. This way money laundering is closed out. So now the question remains if brokers really want to lose clients or they do their due diligence and for that we can expect some unflexibility. I believe if someone knows the background then it makes sense and we can accept it. Yeah, thanks for pointing that out; and it is correct ! AML and KYC do need to be tightened up, I suppose. I found this broker which looks interesting was just wondering if you have heard of them b2btc. Only email for sign up, accounts in USDT, BTC, LTC. All assets FX, Crypto, stocks etc. But, 3:1 leverage? Is that typo? Not sure if I like that. More details would be needed, I guess. Looks like they also charge fees for withdrawal, even though it is crypto. That is not good. I went to their web-trader link and it’s mostly in Russian. Their instruments table is a bit confusing. Not sure how to interpret precision, as it relates to spread. They have cryptocurrency and crypto cash…not sure what the difference is, but the crypto cash shows a commission per side as 0.3% – not sure what that means, but if it is what I think it is, then that is too high. The leverage options are not good at all, especially if the 1:3 also applies to FX. Aside from the negatives, they do appear to offer a wide range of instruments for trading. By using crypto-only deposits and withdraws and, presumably, email-only registration, they appear to be wanting to stay way under the radar - which could be a good thing or a bad thing. I’ve opened a demo account and will look at leverage after the markets open. They list a phone number and a PO Box in the British Virgin Islands in “MT5 > About”. Update: Leverage of 3 appears to be about right. We could always ask for more. I’m not going to open a live account right now. But, it is good to have another broker on the radar. Just wanted to chime in regarding withdrawals as I have seen some recent posts talking about some issues. I have used Traders Way since Sept 2015 and ALWAYS have my money within 48 hours. Have used a variety of methods, but as of now bitcoin is the most efficient and economical. I have also recently started with FinPro and made my first withdrawal Sun 8pm right after they opened, money was in my bitcoin wallet by 8am Monday and in my bank by end of day, so a 12 hour transaction there. I haven’t posted in such a while I had to create a new account today. Until the US changes something, I will be offshore. It’s not even the leverage or FIFO or hedging, I simply want a broker who is not a MM, has decent spreads and low commission and more than anything PROTECTS MY FUNDS. As long as they allow these US brokers to freeze platforms, spike prices out of nowhere and not protect funds, I actually sleep better at night offshore. WHO IS DOING THE LAUNDRY? Money Launderer… How 'bout that criterion? You haven’t missed a thing, HS. As free traders seeking to freely trade a free market in foreign currencies, our problem is that the government uses a corrupted definition of money laundering. Money laundering is the process of creating the appearance that large amounts of money coming from criminal activity, originated from a legitimate source. Money Laundering is the process of moving money around in any way which fails to leave a paper-trail that the government can follow to determine where the money came from, whether it’s been fully taxed, and where it’s going. If we can’t track what you are doing with your money, then we assume that your money is dirty, and you are attempting to launder it. In every such case, we will charge you with money laundering, and take steps to seize your assets. If I make more than a couple of withdrawals of less than $10,000 each, the government will charge me with structuring my withdrawals so as to avoid the $10,000 reporting requirement. Then, the government will take steps to seize my assets. THIS NOTE IS LEGAL TENDER FOR ALL DEBTS, PUBLIC AND PRIVATE. Yeah, right. 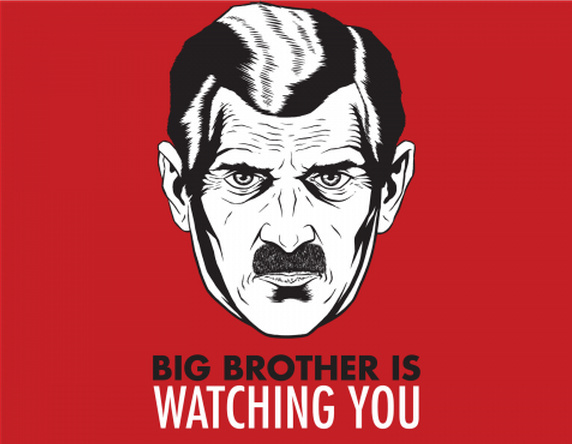 Big Brother is Watching you, and Big Brother is watching your money. brother’s Chase checking account over the counter. They refused, cannot accept cash, period. Nothing the tellers can do about the policy. Trading on Coinexx live right now, had a pretty interesting price inconsistency. Granted it was in my trade’s direction, just thought it was weird. 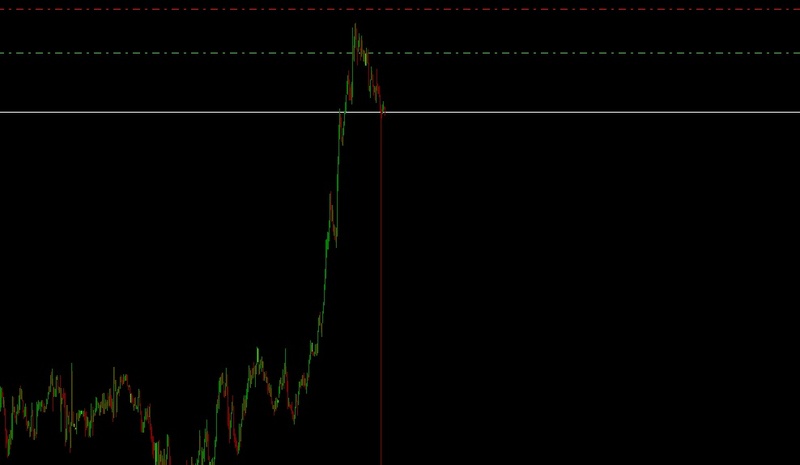 This is on the GBPJPY.